Taiping Houkou is unique for long flat appearance and characteristic in floral fragrance and refreshing green tea taste. 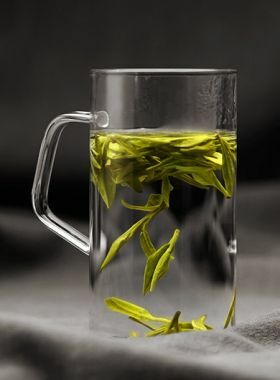 Tai Ping Hou Kui is a fabulous green tea from Anhui with uniquely-shaped, flat leaves, marking it much different from other green teas - and, also, it is one of China’s top ten teas. 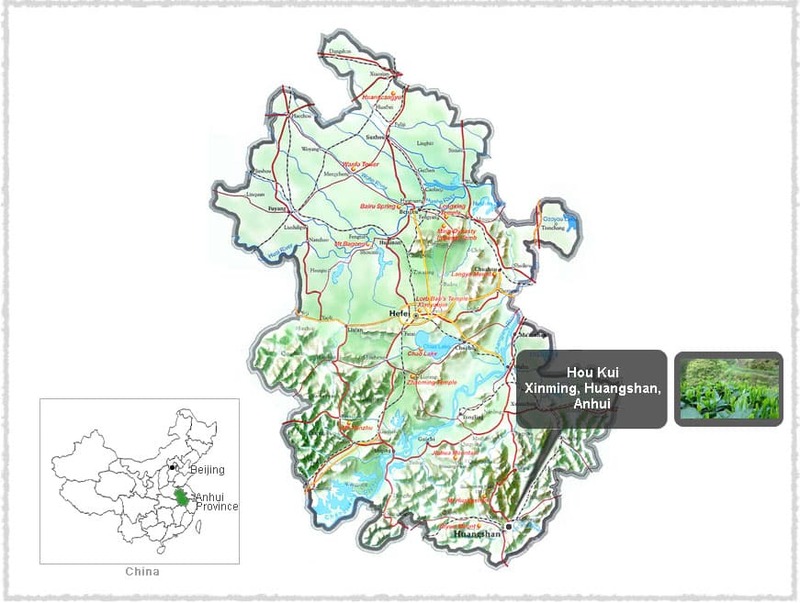 Our tea comes from the village of Houkeng, the origin place of Tai Ping Hou Kui. Early in 1915, Tai Ping Hou Kui tea won the golden award in the Panama Pacific International Exposition, and in 1955 it earned its status as one of China’s top ten most famous teas. Houkeng Tea Garden is at an elevation of about 800 meters in Houkeng Village, in Xinming County. The ecological environment here makes it a perfect place to produce tea, with an average temperature of 14-15℃ and about 95% forest covering. Mr. Ke, who was born and grew up in this tea village, has been in the industry for more than forty years. He started off early in his childhood, following his parents as they harvested tea, and from then on aspired to become an excellent tea maker. 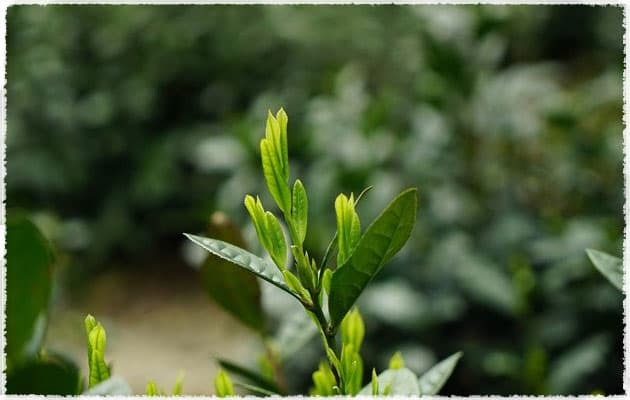 He started to learn the art of tea-making when he was 15, and quickly mastered the traditional skill of producing Huang Shan Mao Feng green tea. 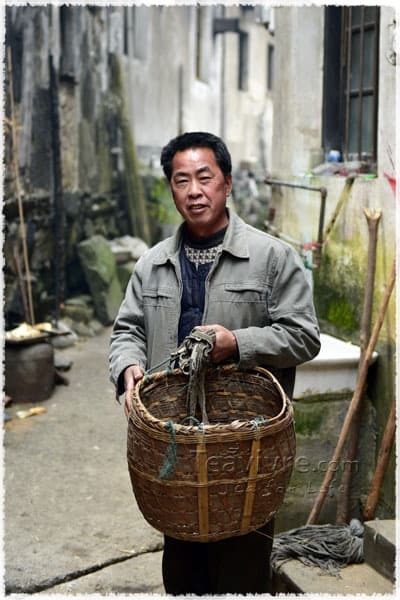 “I will devote my entire life to tea and to my tea village,” Mr. Ke has said. This Tai Ping Hou Kui tea comes from its birthplace, Houkeng Village in Xinming County, Huangshan City, Anhui Province. 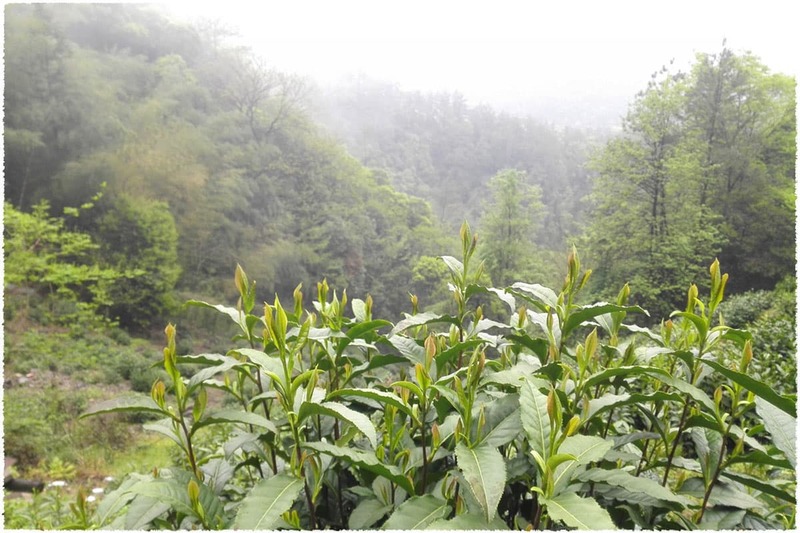 The climate here is cool and moist with thick clouds and mist, and the rich, natural environment leads to fertile soil that result in high-quality tea. Tai Ping Hou Kui is made from a tea tree called Shidacha, or Shiyecha. It belongs to the seedling family, is a bush-type of tree, and is a large-leaf species. The tree originated in Xinming Village of Huangshan City, Anhui province. The “one bud, two leaves” shape most often sprouts near the end of April in medium abundance: the spring leaves contain 3.6% amino acids, 23.8% polyphenol, 13.6% catechinic acid, and 4% caffeine. Once upon a time, high up on the slopes of Huangshan Mountain, there lived a small monkey. One day he went out to play, and wandered into nearby Taiping County - but got lost there, trying to find his way home in a strange place he’d never visited. Once his parents realized that he had failed to return home, one of them set out and searched through the entire country to try to find him, but never succeeded and eventually died of exhaustion somewhere northwest of Taiping County. In a valley near the village there lived a kind-hearted man named Wang Laoer, who made a living picking wild tea leaves and digging up herbs from the deep slopes. While out on a cool misty morning he discovered the old monkey’s body nestled into a small hole along the mountain slopes, and out of respect, he buried them there and planted a young tea tree nearby to mark the grave. About a year later Wang Laoer found his way back to this place while searching for wild tea trees from which to pick - and discovered that the place had drastically changed, with large, beautiful tea trees growing everywhere. It was then that he realized that it had to have been the monkey he buried that granted the tea trees to him, in recognition of his display of kindness.In honor of this, he chose to name the place Hou Gang, and named the leaves picked from the trees here Hou Kui.